The power of Calvary is supernatural rather than natural. This special spiritual nature cannot be understood or fathomed outside of having a spiritual understanding and knowledge found only inside a personal relationship with God. Mankind, left to his own, is ruled by an evil nature. There is nothing good found inside the heart of any natural born man. The Supernatural Power of God is a gift from God which is alive inside the heart of a regenerate man. It is the ultimate, a spiritual gift which keeps on giving and giving! The spiritual work of Calvary was not something a man could ever do for himself (works), or do for others. It took the supernatural presence and power of God to work and will on behalf of the natural sin-laden laden heart condition at work in mankind. The supernatural power and providence of God goes way above and beyond the natural strength or potential ever to be found inside the natural man. In fact, it took spiritual power to rent the veil of the temple in two at the very moment of the physical death of Jesus Christ on the cross at Calvary. This event has special significance, first because it was the very moment of physical death of Jesus Christ, and stands as the very moment eternal victory was won over the power of sin and the devil. Secondly, a priest always resided in the temple once a year to act as an intercessor between God and man. The very moment that Jesus Christ died on the cross as a shed blood sacrifice made it possible to remove, rather than cover sin, making this veil and intermediary assistance of a priest no longer a requirement for mankind to reach God. Every man could choose to be made righteous by the supernatural covering of the shed blood sacrifice available because of the finished work of Jesus Christ on Calvary. Matthew 27:51-52 (KJB) And, behold, the veil of the temple was rent in twain from the top to the bottom; and the earth did quake, and the rocks rent; 52 And the graves were opened; and many bodies of the saints which slept arose. Did you know that to make Calvary possible Jesus Christ was born as a man in the flesh (born of a woman) and at the same time supernaturally all God? When Jesus Christ hung on the cross He was physically present as a man in the flesh (human like you and me) and was also totally spiritually connected with God. 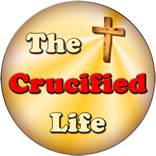 Jesus Christ hung with nails in the flesh but was abiding in the power of God’s Spirit upon the cross at Calvary. This was only possible through a supernatural work of God. God is, God has always been, a three-part spiritual being. It took the power of God (Father, Son, and Spirit) to usher in and complete the required spiritual transaction of a shed blood sacrifice on Calvary for removal of sin. 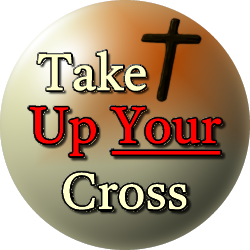 Sin required a blood sacrifice for a permanent remission from sin (Hebrews 9:22). The blood of calves, goats, and pigeons could not remove sin they could just offer an atonement or covering for sin. Therefore, animal sacrifices had to be made over and over again. This shed blood sacrifice, made willingly by Jesus Christ, was once for all sufficient to remove sin. Adam and Eve worked to cover themselves (Genesis 3:7) from the now apparent consequences of sin but it was necessary for the supernatural work of God to properly cloak them (Genesis 3:21). God could not accept the work of man to cover his own sin. Calvary was a complete supernatural spiritual work. God did not leave any “spiritual toll” for mankind to pay on this newly paved and refined highway. The finished work of Calvary covered and completed the only available highway to heaven. Did you know that God’s supernaturally divine power is alive and personally accessible today? Paul is inspired in the New Testament to record about the inconceivable supernaturally “incredible God power” available today. His presence can be found working in the heart condition of the regenerate man and woman in this Age of Grace. Did you know that every man and woman or child of God can have a taste, or a “spiritual down payment” of God’s supernatural power at work in his or her own heart as he sojourns on this earth? This is like having a “spiritual nibble” of the supernatural power of God while sojourning here on earth! It is having the very power of God present and alive in the renewed heart condition of every genuine child of God. It is hard for any man to come up with fitting words to even begin to describe such an awesome and unlimited power and spiritual presence. Ephesians 3:20 (KJB) Now unto him that is able to do exceeding abundantly above all that we ask or think, according to the power that worketh in us. The “super” or above and beyond the natural strength available within man. Living in God’s supernatural power does rely solely upon the ability and power of God for having a “spiritual tick-tock” at work in the heart of mankind as he remains alive in his tent of flesh as he sojourns on this earth. Just like God’s Only Son Jesus Christ, who was spiritually alive while in the flesh, during His earthly ministry. Take hold of this truth and cling tightly to it! God’s supernatural power is and always will be at work in this world and in regenerated hearts in the eternal realm! Do you recognize that God’s Supernatural power has no beginning or end? That it will always be present? It was present before the beginning of the creation of this world, as recorded in Genesis chapter one, and will always be present long after the end of this world as we now know it. After you and I are gone or removed from this earth and present in the eternal realm, the supernatural presence and power of God will be alive for all eternity. The supernatural Spirit of God has always been omniscient and omnipresent. It is all knowing, all powerful, and found everywhere. Mankind is limited by physical limitations. He cannot possibly live beyond this earth in his flesh and is naturally doomed to physically die at the end of his earthly existence. All men must personally face God for judgment and spiritual death for the presence of sin or be present at a heavenly “eternal reward ceremony” found spiritually alive in Christ since sin made its dark and evil debut on this earth. Only through the supernatural power of God can a man exist in fellowship with Him both now and forever. Hebrews 9:27 (KJB) And as it is appointed unto men once to die, but after this the judgment. Yes, mankind faces certain physical death because of sin but the supernatural transaction of Calvary enables the spirit filled man to receive eternal rewards and live forever. You and I will taste physical death at the time of God’s choosing. If we personally know God and have His Supernatural Spirit alive in our heart, we too can live forever having perpetual spiritual fellowship with God. The presence of the nature of God is always a supernatural work inside the heart condition of the man and woman of God. The spiritually dead person would be just like Adam and Eve in the Garden of Eden before God supernaturally interceded on their behalf, existing hopelessly lost and spiritually dead in their sin. Every person will certainly have a spiritual presence in the eternal realm, but perhaps not in fellowship or supernatural spiritual agreement with God. Instead, the unbeliever will be permanently rejected by God and cast outside of His fellowship. Just as God was rejected and cast outside of the gate of the city for His undeserved horrific physical death. The unregenerate man will be subjected to a spiritual existence outside the gates of heaven in agony in the fires of hell doomed to be “spiritual castaways” forever. The castaways will be in eternal spiritual agony, rather than found supernaturally alive, as a child of God, wedded in spiritual bliss forever united with God. The supernatural nature and power of God is divinely recorded in the present tense and present in many passages of the Bible, including in Genesis chapter 22:7-8 as Abraham was called upon to sacrifice his son upon Mt. Moriah. Abraham did not waiver or ask questions about what was expected of him, or choose to him-haw around about being obedient to God. He did not flee from God like Jonah. He chose to be obedient, even if it meant the death of his son. Abraham led a small party near to the place God had commanded him to come and built a fire to offer his son Isaac as a sacrifice. Abraham led he and his son a short distance away to be obedient. God allowed him to place his son on the altar. Please note that Isaac would have been obedient in this transaction as well (just like Jesus Christ) for he was nearing the age of an adult and would have crawled on top the altar himself, making him agreeable to the will of God to be the offering for a sacrifice. When both Abraham and Isaac followed through with God’s expectations the supernatural power and presence of God provided a substitute in the thicket a lamb to offer in place of Isaac, therefore, supernaturally preserving Isaac’s life. There are numerous examples of the supernatural power and presence God recorded in His Word. There are many instances of above natural forces or acts of the extraordinary power of God at work in this world today. By far, however, the greatest example of His supernatural power was recorded in the completed sacrifice of God’s Only Son, Jesus Christ, upon the cross at Calvary. This hallmark spiritual event caused a series of supernatural results, including darkness to unfold for a time, the temple curtain to be rent in two, the ground to tremble and quake, and brought divine fulfillment to the law (Galatians 4:4-5), causing dead saints to rise from their earthly graves. The supernatural power of God is a powerful force, unlike any other power. It springs forth way beyond the divinely controlled power of mankind, the forces of nature, or the power of the devil, as God’s supernatural power has the spiritual upper hand over every other thing. God’s supernatural power and unmerited grace is a gift from God which keeps on giving, both on this earth and in eternity. This precious supernatural gift of power and grace is the reason God can use mankind for bringing honor and glory to Himself!